Bryoney Miller, is the Marketing and Communications Intern for the Cass Global Women's Leadership Programme and is currently studying for an MSc in Marketing, Strategy and Innovation at Cass. She reports on a recent Global Women's Leadership event focused on women in the workplace. 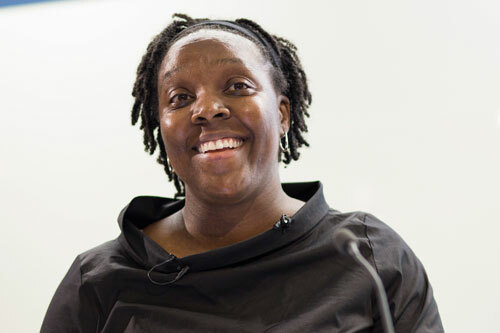 Artis Kakonge, inaugural Cass MBA Global Women’s Leadership Scholar, led a panel of experts at Cass Business School on Wednesday 11th April to discuss topical issues affecting women in the workplace. Artis is a barrister at Garden Court Chambers who specialises in children’s law and is currently enrolled on the Executive Modular MBA programme at Cass. Artis was joined by Alison Maitland, co-author of Why Women Mean Business and a former Financial Times journalist, Catrin Lewis, a barrister specialising in employment and discrimination law at Garden Court Chambers, and Kate Grussing, founder of executive search firm Sapphire Partners. The panel reflected on their experiences throughout their careers and answered questions from the audience on overcoming the challenges that women typically face in the workplace. Artis began by welcoming guests to Cass and said she was delighted to host the evening’s event. Kate, an expert in executive recruitment, offered advice to women who are seeking career advancement but afraid of being overlooked by male colleagues. She encouraged women to own their careers by being assertive and seeking out stretch assignments. “It’s about making those tactical decisions, about getting good at something, being brave and being proactive,” she said. Whilst discussing the legal aspects of grievance cases, Catrin encouraged women to investigate their organisation’s grievance policies and reflect whether they are too hostile and would in fact discourage action. She went on to suggest creating a working group of both men and women at organisations to gain a range of opinions and ensure that it is as accessible as possible. “It’s another way of taking the initiative to get yourself on the agenda, it can be an issue that you can become a champion for and enhance your reputation at the same time,” she said. Alison said organisations need to get their cultures right and that this should be led from the top. She spoke about ‘inclusion nudges’ and reframing how we talk about getting women into senior roles. A theme mentioned by all the panelists was the importance of supporting women to help drive and advance their careers by networking and mentoring. “We have all had that experience of other women who have reached out to give us support and when that happens you remember the impact that it has on you,” said Catrin. “It is really important that organisations provide senior sponsors for women’s careers, as often happens automatically for men’s careers,” Alison added. 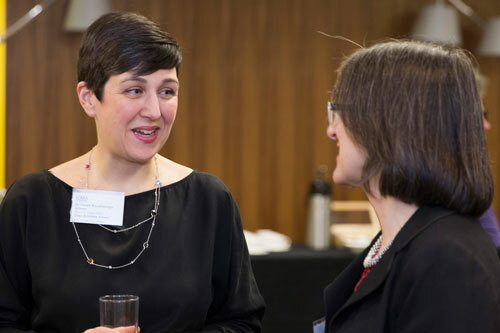 Speaking at the event, Dr Canan Kocabasoglu-Hillmer, Director of the Cass Global Women’s Leadership Programme, said Cass was passionate about giving women the space to develop and thrive. 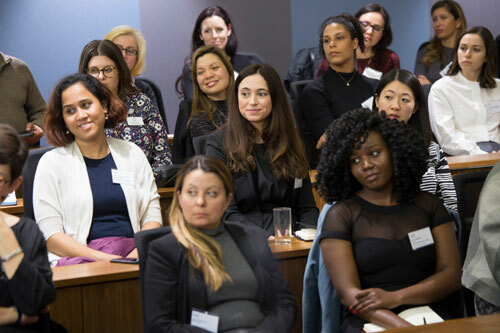 “The Cass Global Women’s Programme aims to provide women with a structure for advice, networking and support through every step of their career, from undergraduate, to postgraduate and beyond. We are running a regular events programme this year with events in London and Dubai and I encourage all Cass women to get involved,” she said. Find out more about the Cass Global Women’s Leadership Programme and future events here.